Hello there! I hope you all had a great weekend! I sure did. It was sunny all weekend! Which is strange because I was in the rain capital of the world *lol* I spent the weekend shopping and playing games with the family. We had a few successful Scrabble games (which I won all of :) hehe) I also brought our old, old family dog along for the car ride. She is a 15 year old Bouvier cross and she just adores car rides! Create a project using "Lined paper (Notebook, Graph, Spreadsheet etc.)". Create a project that has a "Distressed appearance". Or Mash it Up and create a project with "Lined paper that's Distressed looking". So elegant and soft! Love it! Thanks for joining the Friday Mashup this week. What a pretty card! 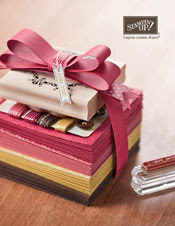 I love the stamping on lined paper and your bow is just beautiful! 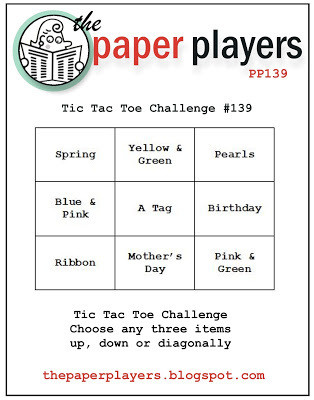 Thanks for joining us at the Paper Players this week! Such a beautiful card! This is perfect for Mother's day! I love the design. 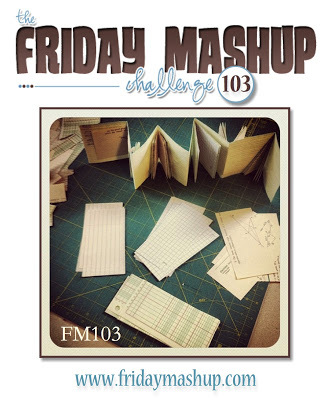 Thanks for playing along with us at the Friday Mashup this week! Wonderful creation...I love the little banner and alllllll your distressing! I love distressing! A great way to combine those challenges...you nailed them all! So glad you shared this with us at the Paper Players! Very nice card! 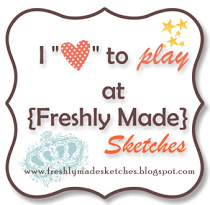 I love the way you stamped your pieces! 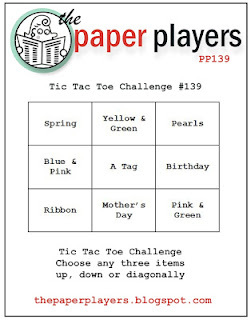 Thanks for playing along with the Paper Players Tic-Tac-Toe Challenge!